As the Director and Master Teacher, Rita Mustaphi oversees all teaching staff of Katha Dance Theatre. Trained and dedicated Company dancers are offered teaching positions at KDT School, after completing their teacher’s training and apprenticeship. Rita also periodically invites Kathak master, Pandit Birju Maharaj and his company of dancers and musicians to visit from India, and organizes for long-term workshops within for the local community. Founder and Artistic Director of Katha Dance Theatre, Rita Mustaphi has choreographed more than 50 evening-length works that have been performed locally, nationally and internationally. Her notable performances include a show at New York’s Carnegie Hall and several International Kathak Dance Festivals in New Delhi. Mustaphi is a roster artist for COMPAS, Community Programs in the Arts as well as a teaching artist for the Cowles Center for Dance & the Performing Arts. She has taught advanced KDT classes since she founded the school in 1987. 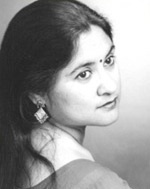 Mukta Sathe learned Kathak from her guru, Sanjeevani Kulkarni, in Nasik, India. She won the national “Swar Sadhana” competition while touring throughout the country. As a company member, her performance credits with KDT include annual fall concerts since 2005. 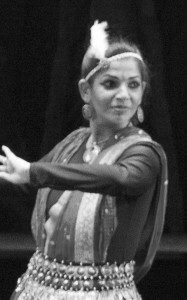 She has studied with Rita for over fifteen years, attended the International Kathak Festival in Chicago (2004) and participated in workshops conducted by Kathak Maestro Pandit Birju Maharaji, Kumudini Lakhia and Saswati Sen. Mukta teaches Kathak classes for youth and adults. Anurag Sharma began learning Kathak dance in 2004 from Rita Mustaphi. Anurag attended International Kathak Festival in Chicago (2004) & attended Kathak workshops led by Pandit Birju Maharaj, Saswati Sen, Pandit Chitresh Das, Anjani Ambegaokar and Kumudini Lakhia. As a company member, his performance credits with Katha Dance Theatre include annual fall concerts since 2005; the North American Bengali Conference in Toronto, Canada (2013); and the India Dance Festival with Indian Classical Music Circle in Dallas, Texas (2013). He recently completed lengthy intensive training from Pandit Birju Maharaj in New Delhi, India. He teaches Kathak classes for youth and adults. 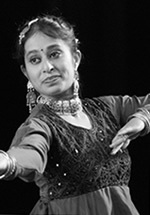 Rupa Nair is trained in Bharatanatyam from Sri Rajarajeshwari Dance Academy in Mumbai. She has won awards for her school at state and district-level dance competitions. She has been training in Kathak under the guidance of Rita Mustaphi since 2012, and has attended workshops with Pandit Birju Maharaj and Ms. Saswati Sen. Rupa teaches youth classes at KDT’s school. Sarika Haris began her dance journey in India, where she learned Bharatanatyam, the South Indian classical dance style. Her passion for dance has motivated her to learn Kathak under Rita Mustaphi since 1999. She has attended master classes with Pandit Birju Maharaj & Saswati Sen and performed in numerous KDT productions, including the lead role in Chandalika, the Untouchable. She teaches youth classes for KDT.